Wow, it has been a while since I’ve done a contest. So here’s what I’m thinking; since I’m still not done editing the podcast that I wanted to post today – that is to say that I haven’t even started the editing – I’ve decided to give away some free stuff as an act of contrition. Sadly, it’s not a free copy of the Elder Scrolls V: Skyrim. Though if the good folks at Bethesda Game Studios want to send me a review copy that I can later contest away, I’d be happy to accept it. 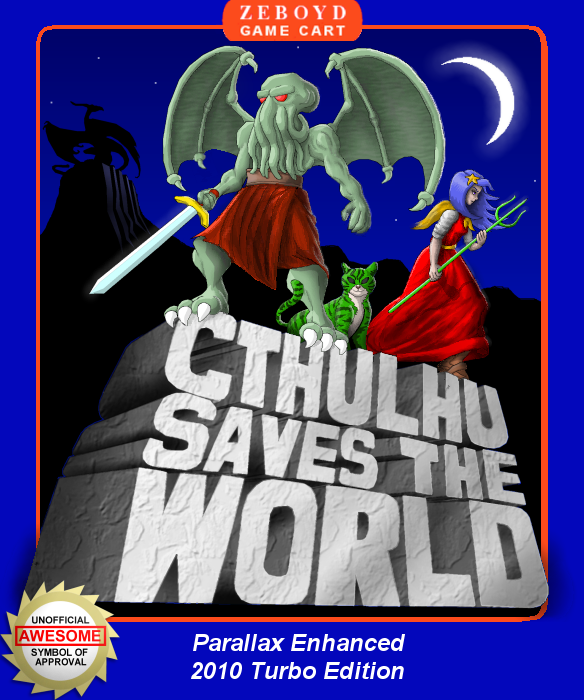 Instead I’m going to give away a copy of a delightful indie game called Cthulhu Saves the World. If you’re a fan of classic RPGs in the fashion of Final Fantasy V and Chrono Trigger, a loyal minion of the Old Ones or somebody who thinks that games are just too damn easy, this is the title for you. 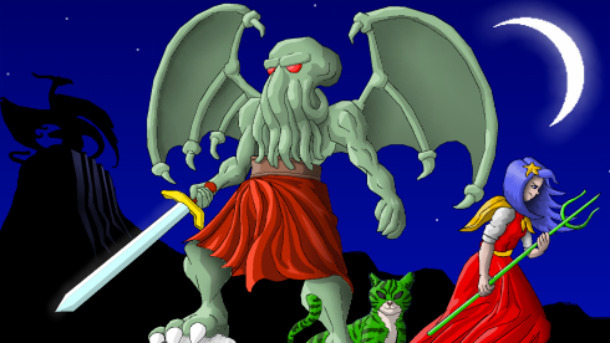 The game is also tongue-in-cheek funny in a way that I haven’t seen since the old Space Quest games. Both games are published and developed by Zeboyd Games, who are in no way affiliated with this contest, but I imagine them to be very charming folk. Leave a comment on this post and you’ll be entered to win. I’ll roll 4d6 to determine the winner and send you an email so you can claim your prize. Contest closes on Tuesday, November 8th at 11:59pm Eastern Time. Kindly note that Steam is telling me this is a PC only game. Sorry mac users, but you made your choice and now you have to live with it. Shaftoe’s Rants: MechWarrior Online, Yay! Right? Here is my comment… although I think you’re the only nerd in my life who would play this with me. I NEED MORE NERDS IN MY LIFE!!! I’m rather nerdy – and have been looking for a good game in the mode of the Two Guys from Andromeda for a while. I don’t know how I’ve lived this long without it. Alright dice are rolled and Hot Dog, we have a wiener. Gratz Rollen, you won just in time for Steam to get hacked.